Skyven Technologies, pioneer of the world’s most efficient dual-use rooftop solar panel, was selected as a finalist in the Greentech category for SXSW Eco’s entrepreneurial pitch competition, the Startup Showcase, taking place on October 6-7, 2014 at the Austin Convention Center in Austin, TX. 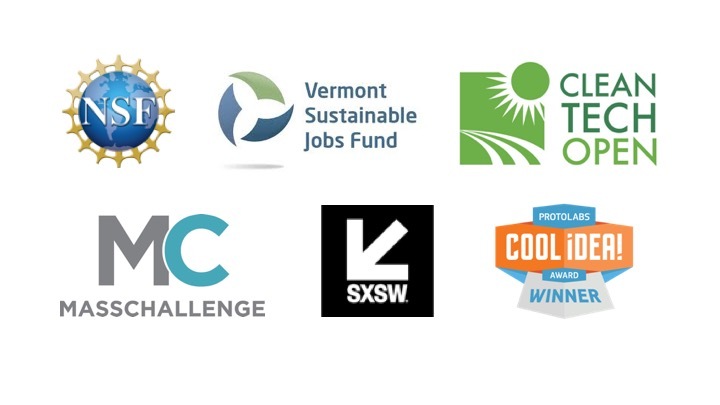 The Startup Showcase, now in its third year, is a rapid-fire pitch competition spotlighting innovative early stage companies in the areas of greentech, cleanweb and social impact. Finalists in these categories were selected out of a pool of hundreds of applicants from around the world and will compete at SXSW Eco in front of a live audience and panel of Judges from companies the likes of Target, Shell Technology Ventures, the Whole Planet Foundation, New Enterprise Associates (NEA) and Sprint. In the past two years, participating companies have gone on to raise over $27M in funding and acquire global brands as clients. The emcee for the Greentech category will be Mitch Jacobson, Co-director at ATI Clean Energy Incubator and CleanTX Foundation. Judges will include Farshid Arman (Siemens Technology to Business Center); Daniel Carter (Saudi Aramco Energy Ventures); Dawn Lippert (Energy Excelerator); Rebecca Taylor (Shell Technology Ventures) and Dan Watkins, PhD (Mercury Fund). “We are incredibly excited to be pitching as finalists in this year’s SXSW Eco Startup Showcase,” said Arun Gupta, founder of Skyven Technologies. “It’s a prestigious event that will really help us spread the word about the transformative solar cogen technology that we have been developing so diligently”. The Skyven Cogen System, or SCS, is the most efficient dual use solar panel in the world. One SCS panel produces as much energy as two similarly-sized solar PV panels plus one solar water heating panel, meaning far fewer panels to transport and install. The resulting cost savings are so dramatic that rooftop solar suddenly becomes an obvious choice for many building owners. Skyven Technologies is drastically lowering the cost of green energy for commercial and industrial facilities. Its patented rooftop solar technology combines electricity generation and water heating into a single panel. The result? Triple the energy output and double the financial returns versus today's leading rooftop solar technologies. It's the first and only zero-emissions solutions that can compete head-to-head with natural gas on the cost of heating water, while simultaneously beating the best that traditional PV has to offer on electricity generation. Now in its fourth year, SXSW Eco attracts a global community to explore, engage and co-create solutions for a sustainable world. A uniquely inclusive platform for professionals, SXSW Eco examines the critical challenges of our times through a kaleidoscopic lens of design innovation, policy tipping points, technological breakthroughs, conservation practice, entrepreneurial spirit and a culture of creativity to transform inspiration into action. The conference takes place October 6-8, 2014 at the Austin Convention Center in Austin, Texas. SXSW Eco is sponsored by Austin Energy, Austin Technology Incubator, Lagunitas, the Austin Chronicle and KDRP.